1. Unlike normal soft lenses, there are three tear circulation holes. 2. Transfer the oxygen and nutrients in the tears to the cornea. And the hole which was the inconvenience of the general hybrid lens was eliminated, and the feeling of dryness was improved when worn for a long time. If the water content is high, the eyes get dry quickly because they take a lot of tears. On the other hand, low water content lenses have the disadvantage of low oxygen permeability. 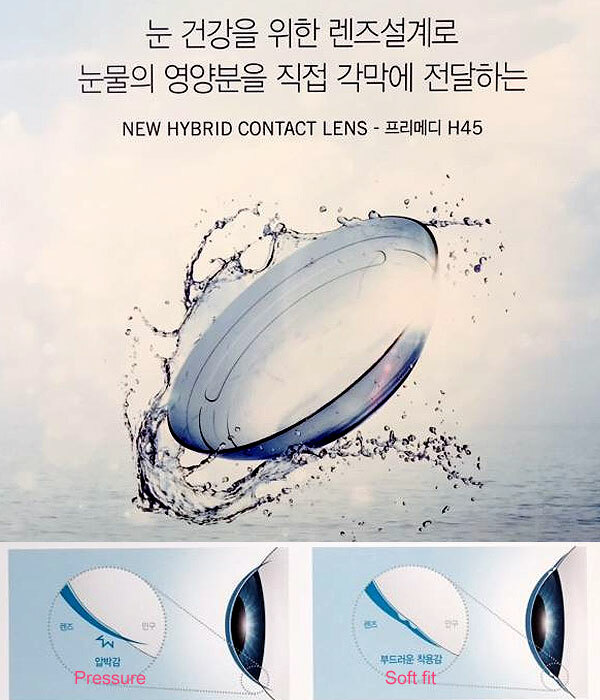 South korea's only soft lens patent lens made by improving its disadvantages.